Semi High-Speed Train-18 or Vande Bharat Express will be running on tracks this month. 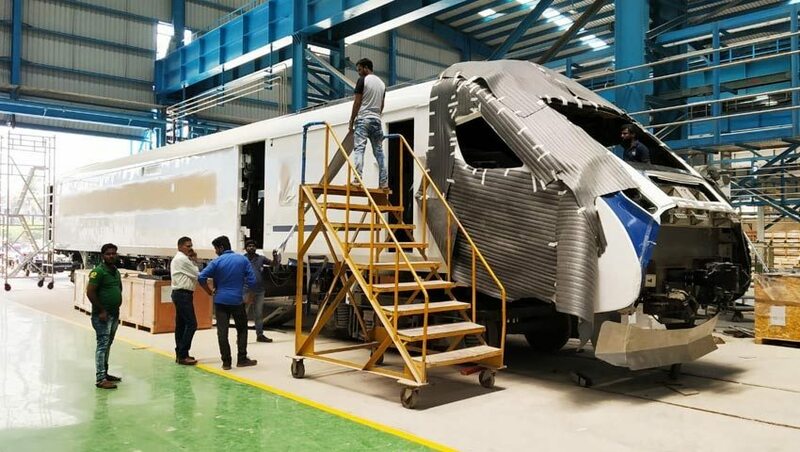 Honorable Prime Minister of India, Narendra Modi will inaugurate and flag this high-speed train on 15th February 2019. This express train will finish the journey from Varanasi from Delhi in just about 8 hours. The price tickets of this train have also been disclosed by the IRCTC Railways. According to the report, Vande Bharat Express will have two classes. The ticket of AC Chair car will cost you around Rs 1,850 and the executive class ticket fare will be Rs 3,520, which even covers the good quality catering service fees. The price of the ticket is 1.5 times higher than Shatabdi express. According to PMO office, Prime minister himself will travel in this super express train from Delhi to Varanasi. He will travel in the executive chair car of the train whose price is Rs 3,520. During this inauguration ceremony, some officials of Indian Railways and other ministers will be present with him. The train will run from Delhi followed by its first stop at Kanpur. Here the Prime Minister will address a public meeting. After a 40-minute stay in Kanpur, the train will run for Allahabad. Similarly, the train will also stop in Allahabad for 40 minutes. Here also the Prime Minister will address a public meeting. The windows of the train have also been manufactured in such a way that the passenger can easily enjoy the scenic beauty with full comfort and leisure. In wide-witted windows, there is no partition in the middle and the outside scene can be seen. Seats are designed in such a way that they can roam 360 degrees. This train is made under the initiative of “Make in India“. 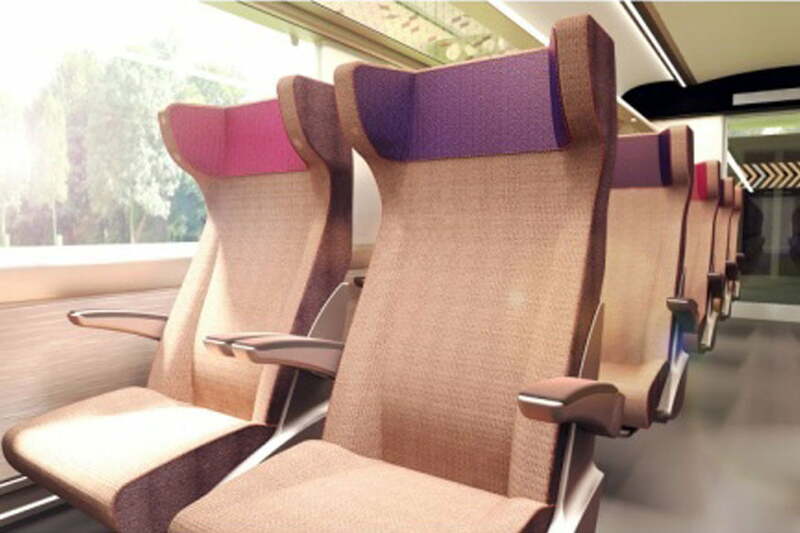 To provide maximum leisure to the passengers in this train, each coach will have high-speed Wi-Fi. There will also be an advance passenger information system so that passengers can access real-time information. To enjoy reading and writing during the journey, special reading lights have been installed for maximum comfort. In addition to this, there is also an installation of diffusion lights. T-18 has a special arrangement for physically disabled people. 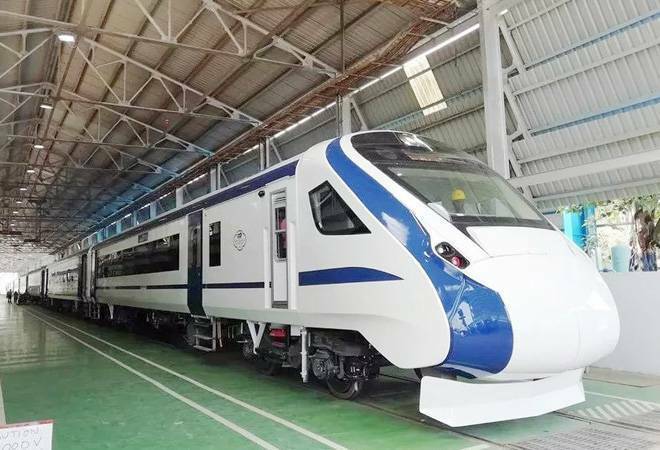 The cost of Vande Bharat Express or T-18 express train is a hot topic and have started the advancement of the revolution of Railways in India. The train is worth about 100 rupees crore. This train consists of 2 executives and 14 non-executive classes, there are a total of 16 coaches, in which 128 people can travel and sit easily.